The closing ceremony of the Rata Venuwen Ekata Sitimu programme in the Batticaloa District will be held today (12) at 10 am under the patronage of President Maithripala Sirisena, a Government Information Department press release said. 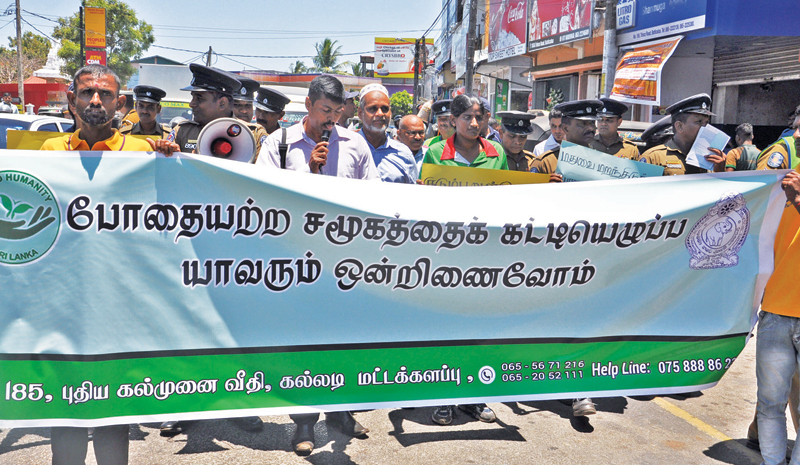 “Over 150,000 people in the Batticaloa District have been benefitted from development activities carried out under the Rata Venuwen Ekata Sitimu (stand together for the country) programme by its third day, April 10,” Batticaloa District Secretary (GA) M. Udayakumar said. He said 111 public service programmes have been implemented at district level by the Presidential Secretariat spending Rs 4.3 million. Another 442 programmes have been implemented at a cost of Rs 2.1 million which would benefit nearly 100,000 people. The Eastern Provincial Council has also spent Rs. 10 million in this regard. Rs. 34 million has been spent on the overall programme.